D Kominkova, Czech Technical University in Prague, Prague, Czech Republic © 2008 Elsevier B.V. All rights reserved. • develop and assess measures to avoid or minimize those impacts if it is decided to carry out the activity. EIA can be defined as a process of collecting information about environmental impacts of a proposed project and consequent relevant decision making. EIAs also consider aspects such as project alternatives and mitigation meas ures which should be applied if the project is allowed. History of EIA is almost 40 years long. During this time EIA has developed as a complex tool, which helps in decision making in the case of proposed projects and helps to identify variation of the projects which will have a minimal impact on the environment in case of acceptable cost. The process of EIA comprises a number of different stages such as screening, scoping, reviewing, and completion. These stages of EIA may be labeled differently in different parts of the world, but their goals are similar. In the EIA process, a range of organizations may be involved, including government agencies, developers, nongovernmental, and public organizations. The level of involvement may vary significantly depend ing on the type of project that is assessed. A detailed introduction to EIA is provided in Environmental Impact Assessment and Application - Part 1. Figure 1 shows the general structure of the EIA process, which should be followed while preparing environmental impact statement (EIS) for all types of projects. The main goal of this article is to provide a broad understanding of the EIA process, for example, of hydro power dam and bridge construction projects. It provides direction on the scope of the EIA, but it is not an EIA by itself. The presentation of a detailed documentation of an EIA is beyond the scope of this book. The nature and practicality of EIAs will vary. Approaches will vary between countries and between local areas within countries. What may be significant issues in one case may not be considered significant within another jurisdiction. Accordingly, the examples in this article are provided as indicative of approaches to these categories of projects. It is imperative that engineers, planners, and scientists undertaking EIAs con sult their national and/or local EIA legislation and guidelines. Introduction. Introduction of the project (nature of the project, location, size), details about the activity, project purpose and justification, investor, need for the project, previous study if any, possibility of cumulation with other project, alternatives of the project, time framework. Approach and methodology. This section describes the process used to identify the potential environmental impact associated with the project. Project description. This section describes in detail the various components of the project. Information is pro vided on the technical aspects of the project, general activities related to construction, operation, and decommissioning, work force requirement during con struction and operation, waste/emission management, and safety. • to provide a baseline for identifying environmental changes in the future. • interviews with the government representatives. In some countries, this section is closely related to assess ment of present state of the environment and its capacity to accept more changes. • components which may be a reliable indicator of envir onmental changes. Specifically, VECs are species, habitats, environmental features, and resources that are particularly rare, unique, productive, indicator of environmental change, commer cial, esthetically valuable, or essential to ecosystem function and integrity. They include environmental com ponents, including social and economic components, which are identified as having scientific, social, cultural, economic, or esthetic value. • Impact upon the socioeconomic environment. Figure 1 Structural features of an EIA process. Each of the features includes 'questions' which need to be answered during the EIA process. The proper answers to these 'question' are crucial for final decision-making about the project. Further, these impacts are predicted for the preconstruc tion/construction, operation, and the decommissioning/ abandonment phase of the proposed project. In addition, impact of the environment on the project has to be con sidered as well. Current standard construction practice generally includes environmental protection measures that will mitigate many potential environmental concerns. Also potential impact associated with accidental events and potential cumulative effects has to be considered. There are different methods of impact prediction, but they all result in decision making whether or not pre dicted environmental effects are adverse, whether the adverse effects are significant, and whether the significant adverse effects are likely. The potential significance ofthe identified adverse effects is considered for each VEC according to the magnitude or severity of the effects, geographical extent, duration and/or frequency, degree to which adverse effects are reversible, and the environ mental context. The environmental context relates to existing level of disturbance of the VEC and/or the fragility or degree of resilience to imposed stresses. Any activity that is predicted to lead to exceed a regulated or guideline value of a parameter is judged significant. The likelihood of occurrence includes the probability of occurrence; or where insufficient data are available to permit the estimation of probability, the degree of uncer tainty has to be considered. It is important that during impact assessment, the 'pre cautionary principle' is applied. The precautionary principle can be defined as follows: ''When an activity raises threats or harm to the environment or human health, precautionary measures should be taken even if certain causes and effect relationships are not established scienti fically.'' This is to be applied to avoid irreversible losses. In order to be considered a significant environmental impact with respect to the biological environment, a deviation from background must be judged to cause changes in the process or state within the bounded area resulting in a sustained depression of fitness or density below naturally occurring levels. Where such changes are predicted, mitigation has to be recommended, when possible. Environmental management plan (EMP). The main parts of this section are protection, mitigation, and enhance ment measures which are identified for the areas of environmental concerns of the project. Also the pre scribed monitoring studies are part of the environmental compliance plan (ECP); EMP has to be agreed upon between the proponent and the governmental bodies. The EMP should ensure, along with ECP, that the environmental commitments and recommendations are implemented in full. This begins by incorporating mitiga tion measures and other environmental considerations into the plans and specifications and then to continue overseeing how they are carried out during construction and operation. Appendices. These include the results and reports of all studies, which were concluded as part of the EIA process. The names of single parts of EIS may vary among countries, but generally the EIS has to contain all the above mentioned information. The main aim of this part is to provide an outline of the most common impacts resulting from hydropower dam construction and bridge construction. Identification and assessment of environmental impact of projects seems to be the most challenging part of the EIA process for all types of projects. This section is focused primarily on the identification and assessment of environmental impact of the projects. The reader has to keep in mind that the whole EIA contains more activities as is mentioned above and in Environmental Impact Assessment and Application - Part 1. The goal of this section is to identify the most common impacts resulting from hydropower dam construction and operation. The construction of hydropower dam belongs to the category of projects, which are universally designed as man datory EIA projects. During the screening stage of the EIA process, it is necessary to identify the proposed project and the investor. The primary information about the proposed project is the type of activity, the capacity, the location, the character of the activity, and possibility of cumulative effects with other types of anthropogenic activities. The identifica tion of necessity of the project for this type of project is usually very similar; the main reason to construct hydro power dam is generation of power to meet growing national demands for electricity and to ensure reliable sources. The secondary reason for building a hydropower dam is flow regulation downstream from the dam contributing to the flood control and irrigation, another reason is a recreational purpose and drinking water supply. Important part of screening stage is the identification of proposed location as well as identification of alternative options is a part of the primary step, together with a short description of technical and operational solutions. Identification of the proposed starting and ending date of the activity is another important information collected during the first step of EIA. This first step is common for all EIAs and there should be little variation in content of this part. • the harvesting of timber or other type of clearance of the present vegetation, which will otherwise be drowned and may later on cause problems. All of these activities have the potential to create environmental impacts. Areas of particular concern will relate to the selection of sites for extracting construction materials and the proposals of resettlements. • the construction of replacement access roads to the remaining communities. • the possible development of fisheries and recreation. The above listed activities will follow construction of most hydropower dams; there are some differences which may occur with respect to local conditions. Even if there is a common consensus on which parameters should be considered while determining envir onmental sustainability of a hydroproject (Table 1), the EIA process should not rely only on these factors, but should look on all possible impacts. that power generation would not be curtailed by sedimentation. downstream users. All pollutants should be at acceptable level. industrial water supply, multiple uses are considered a plus. The project should be well integrated to future activities in the region. The most common impacts of a hydroproject are listed in Tables 2 and 3 and are separated into impacts originated during the construction phase and during the operation phase, which starts with filling the reservoir with water. Tables 2 and 3 list the most common effects of hydro power dam construction and operation on physical and biological environment, but it is necessary to take into account local conditions and the size of the dam. In the case of large and deep reservoirs the assessment has to take in account the impact of the large water volume and its weight on induced seismicity and possibility of earthquakes occurrence. The construction of hydropower dam also may have an impact on the socioeconomic environment of local communities. The main impact can be identified as necessity of resettlement, loss of social integrity in resettled commu nities, loss of agricultural land, and impact on or loss of cultural, historical, and archaeological heritage. Conversely new job opportunities are created, usually improvement of transportation occurs, also positive impact on human health and esthetic changes to the landscape are observed. A number of other impacts will be location dependent. The nature and scale of indirect and cumulative impacts as well as impact interactions will also be site specific. A number of negative impacts may be minimized by proper mitigation measures and best management practices. Behavior changes while other impacts may vary according to the climate, location, size, or function of the bridge. As was mentioned above the first steps in EIA process are similar and are not dependent on a project type. The screening stage has to obtain information about proposed project (the project type, the size, the capacity, the loca tion, the character of the activity, and possibility of cumulative effects with other types of anthropogenic activities) and the investor. An important part of the screening stage is an identification of the necessity of the project. In the case of a bridge construction, the most common reasons are to connect two places which are not naturally connected and to improve transportation and decrease time and energy to get from one place to other. The secondary reason for building a bridge can also be protection of natural area with high environmental and ecological value, which would be otherwise exposed to traffic and to all negative consequences connected with it. An important part of the primary step is an identification of the proposed location as well as the identification of alter native options. A description of technical and operational solutions has to be part of the screening stage as well as information about starting and ending date of the activity. The development would involve the excavation of construction materials, the excavation of abutments, construction of the bridge, access roads, and stabilization of banks. There are some key operations during precon struction, construction, and operational and maintenance periods, which can be used as a guide for assessing impact. During all these three phases of the project, there will be impact on the environment, socioeconomic sphere, cul tural sphere, and the visual/esthetic sphere. Most of the impacts, which occurred during the pre construction and construction phase of a bridge construction, are similar to those occurring during a hydropower dam construction (see Table 2). In this part more attention is put on each impact on the environment and its short explanation. Certain project actions will release emissions to the atmos phere. These releases will be primarily due to fuel combustion (construction equipment, power generators, and space heating, and transportation vehicles), explosive detonation and fugitive dusk (excavation, drilling, and quarrying and crushing, wind erosion, and road dust). The key impact results from dust and emissions from heavy equipment during construction period. Following construction, these effects would return to normal (exist ing) level in the region. Dust and emissions from heavy equipment may cause animals and birds to relocate away from areas surrounding the construction site. Over the long time period, the bridge might increase traffic volume on the road, leading to higher emission in the area. However on the other side it will decrease overall fuel consumption by eliminating the necessity to drive the longer original way, and the amount of emissions in the whole region will decrease. In case that the transport over river is managed by ferry, then after bridge construction the fuel consumption to related ferry operation will be elimi nated. Another factor potentially affecting air quality is the release of air contaminants during chemical spill events. Construction of the bridge and road also can cause slope instability, depending on the slope of terrain, texture and moisture content of the material, and vegetation cover. Alternation of the terrain along the road can be caused by erosion from roadways. Soil erosion can result in alterna tion or loss of soil quality, a process that can subsequently affect vegetation growth. The project causes vegetation removal, thereby exposing the soil and increasing the prob ability for erosion. Soil admixing may result from improper soil handling procedures, and can affect soil fertility and consequently vegetation growth. Soil compaction results in a reduction of porosity and an increase in soil bulk density and also it effects may cause change in vegetation growth. Spills and leaks during all phases of the project may result in the alternation of soil chemistry and physical properties, which in turn can affect vegetation, surface water, and groundwater quality. The main water quality issues related to the bridge pro ject relate to the potential release of sediments or chemicals into the river channel, primarily during con struction. If sediment is released during construction the main impact would occur downstream of the bridge. Sediment loading from bridge construction would be short term. A variety of construction techniques could be used to minimize, or eliminate, the possibility of large and sustained sediment release. Timing of construc tion to avoid critical periods for fish species and life requisite activities (spawning) also may be an effective mitigation tool. Sediment release can also occur during the operation period of the bridge as a result of shoreline erosion, from surface runoff along ditches, and from fine sediments washing off bridge deck into the river (e.g., sand, gravel, and dust from road, maintenance activities, and traffic). Other potential water quality impacts include the release of contaminants into river from fuel or chemical spills. This can occur during construction when heavy equipment is working on near the river as well as during operations from traffic and maintenance activities. • Channel aggradation/degradation over time. Potential impacts of a bridge include changes to channel hydraulics upstream and downstream of the structure as well as immediately around the bridge piers. Any nar rowing of the channel can restrict flows and increase river velocity at crossing site. This increase of velocity can lead to erosion around the bridge abutments and piers. The channel restriction can also impede the move ment of ice at breakup and lead to ice jams if the bridge is not designed properly. During construction, depending on construction techniques, the river may be constricted to allow construction to occur away from the flow of the river to reduce sediment release. 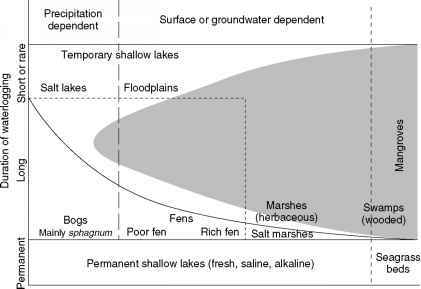 Overall, these types of changes may lead to erosion of the banks or channel bed, increase sedimentation, changes in river velocity in the vicinity of the bridge, deposition of sedi ment in new areas of the channel, and restriction of fish movements. Increased noise levels in the area are to be expected if the bridge is constructed. Noise due to construction would cause animals and birds to avoid the area around the bridge and their community. Noise is an issue that is present at all phases of the project but is likely to be greatest during construction, which is a relatively short duration activity. Noise during this period would be related to the amount of heavy equipment operating during construction as well as environmental conditions. Potential impacts to vegetation could be either direct through clearing or indirect through potential increased dust as a result of traffic, alternation of drainage patterns, and deposition of material. Because vegetation is closely tied to the stage of the environment (terrain, soil, water quality and quantity) most of the impacts are closely related to the changes of environmental parameters. Movement. Sensory disturbance from road traffic along bridges may obstruct daily or seasonal wildlife movement. Abundance/biodiversity. Interference in nesting activity, disturbance to wildlife during construction, and increased mortality risks from changes in vehicular access and increased vehicle use. This part gives a brief outline of possible mitigation measures to minimize negative impact of the bridge con struction on environment. The mitigation measures listed here are not a complete list of mitigation measures which can be used in similar cases. To list all possible mitigation measures is not a goal of this article; the goal is to give an idea about them. • Working surface and slopes will be graded to minimize runoff erosion. • Progressive reclamation during operations will mini mize slope erosion. • The road right of way will be seeded with and erosion controlling plant cover as soon as practical following access road construction. • Where required, diversion berms can be placed and designed to minimize erosion and sedimentation. • Topsoil stripping will be discontinued during periods of high winds. • salving and replacing the surface soil to support suc cessful revegetation. • Bridge abutments, approaches, and piers have to be constructed to prevent erosion and if applicable also ice scour. The environmental impact assessment is in the process of continual dynamic development all around the world. This is in response to new corporate commitments and increases community expectation and concern about the state of the environment. It is crucial to keep in mind that every EIA is distinct and consideration to local conditions and exact type of project and its implication is essential for successful EIA. See also: Environmental Impact Assessment and Application - Part 1; Erosion; Impoundments; Invasive Species; Lake Restoration; Landscape Planning. Guide. New York: Mc Graw Hill. Petts J (ed.) (1999) Handbook of Environmental Impact Assessment. Vol. 1: EIA Process, Methods and Potential. London: Blackwell Publishing. Petts J. (ed) (1999) Handbook of Environmental Impact Assessment. Vol. 2: EIA Practice. Impact and Limitations. London: Blackwell Publishing. Using Fuzzy Logic. New York: Springer. Thomas I and Elliott M (2005) Impact Assessment in Australia: Theory and Practice. Annandale: The Federation Press. Treweek J (1999) Ecological Impact Assessment, 2nd edn. London: Blackwell Publishing.